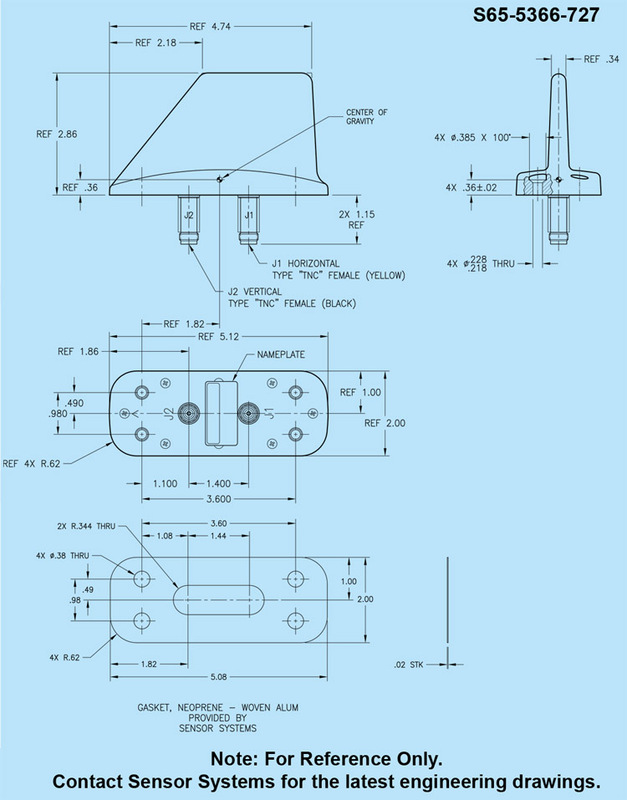 S65-5366-727: Blade antenna designed for MIMO (Mutiple Input, Multiple Output) communications in a single antenna installation. 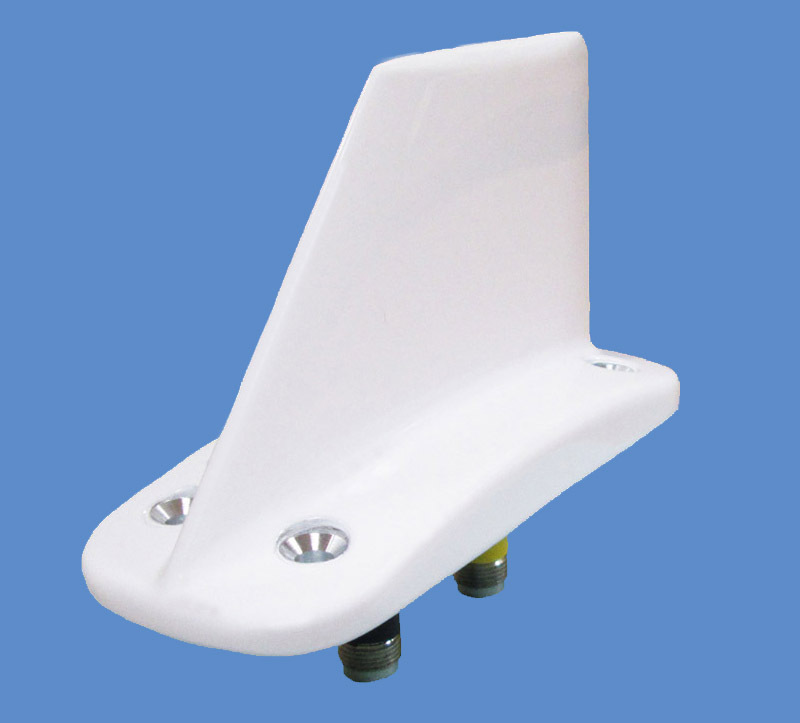 The antenna operates from 2.2 to 2.5 GHz, supporting IEEE 802.11b/g/n and 802.16 WiMAX standards. Allows higher data rates, range and reliability when used with MIMO radios. Utilizing polarization diversity techniques (vertical and horizontal) the antenna has high gain and 12dB minimum isolation between the elements. The vertical plane performance is similar to that of a quarter-wave monopole; horizontal performance is similar to that of a half-wave dipole. The rugged design is hermetically sealed and DC grounded. Dual TNC connectors with standard L-band 4-hole bolt pattern. 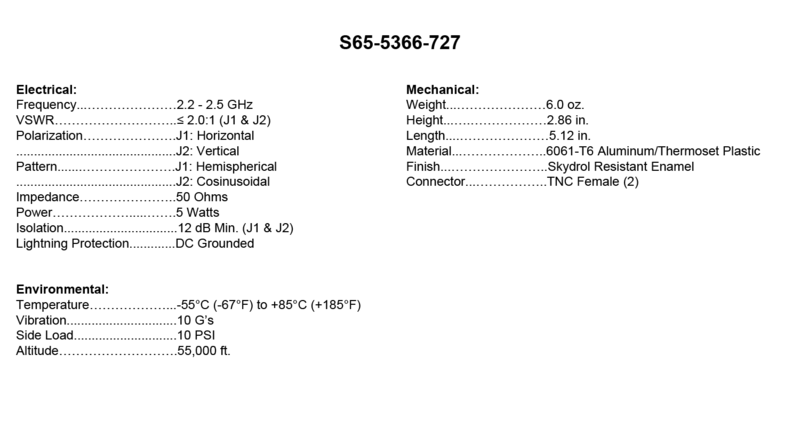 A conductive neoprene and woven aluminum gasket is included. FEDERAL & MILITARY SPECS: DO-160G, MIL-HDBK-5400, MIL-STD-810D, MIL-E-5272C, MIL-A-7772B.